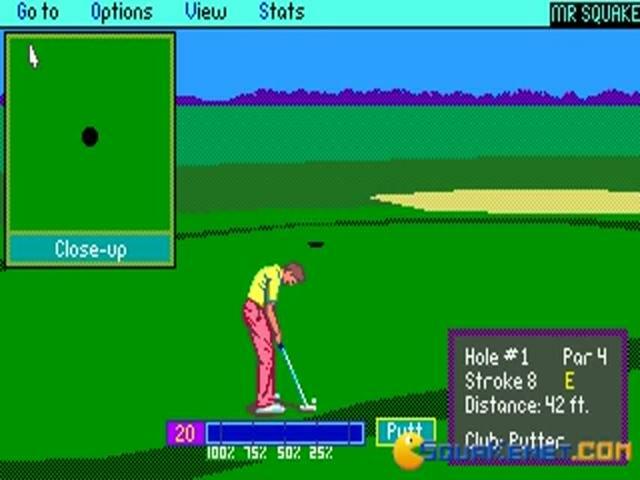 PGA Tour Golf is a playable, fun, to a point golf simulation. 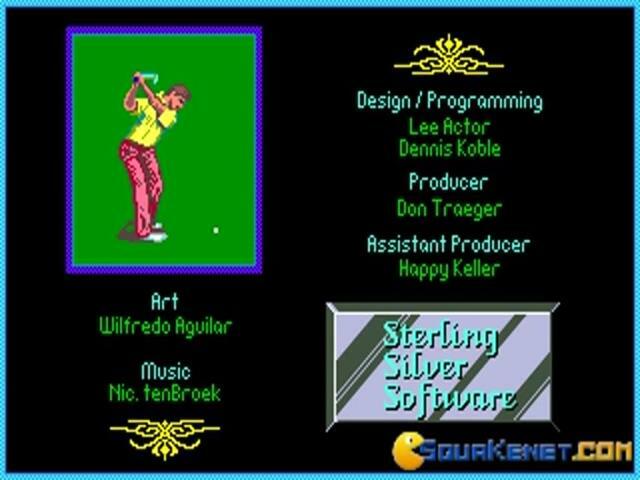 Being delivered by a lesser known company, Sterling Silver, under the supervision of EA, it was bound to be a game that was competent, yet without no original ideas. 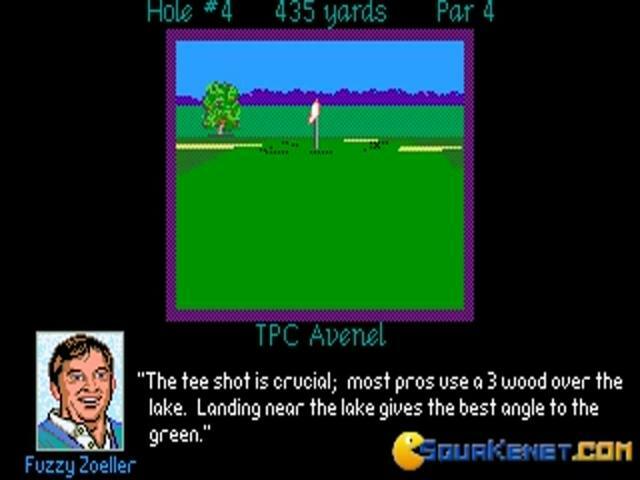 If you've played some other retro golf titles, even titles of golf for the NEs console, you will find this game to be truly classic, and in many ways a righteous game. 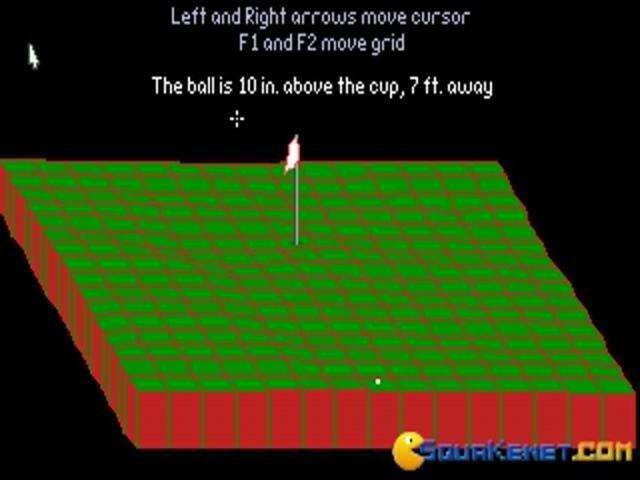 So, you can choose where the ball will go; after you've set the trajectory, you have a minigame that tests your accuracy; set the moving indicator in the right frame and your ball will land where it needs to. 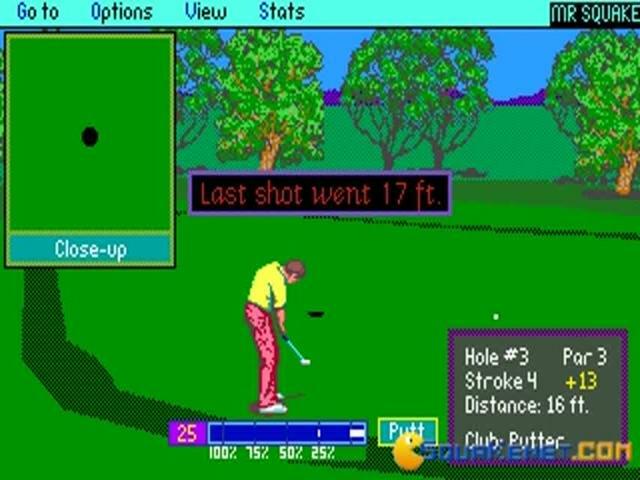 It's kind of unfortunate, as your attention has to be very heavily focused, and it can be a little daunting to keep playing. 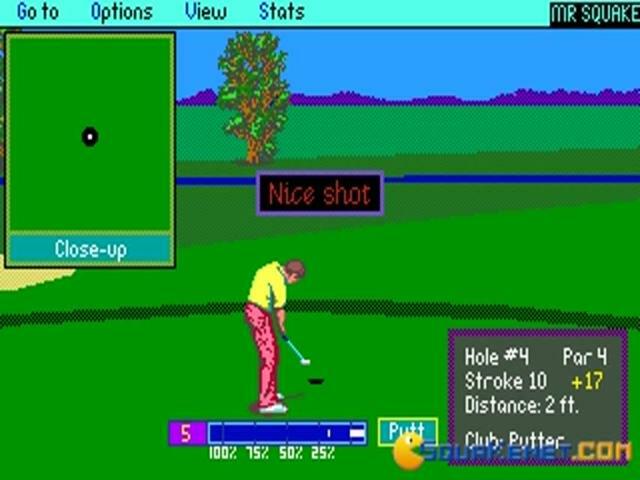 But that is what the entire golf games were all about, so, in ways, PGA Tour Golf is going to be a good choice, but only if you know what you are looking for. 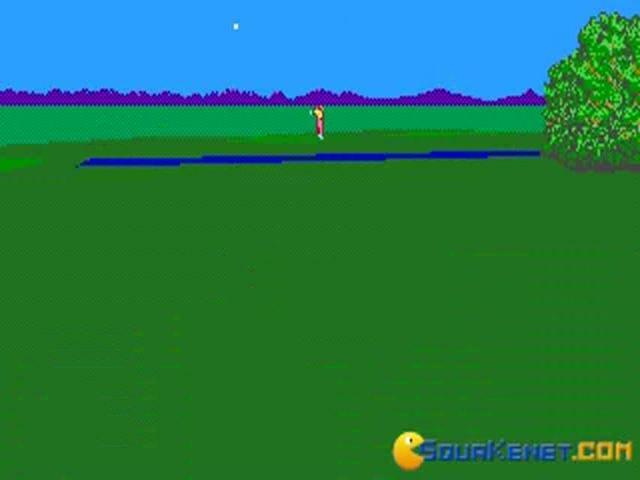 The 3D slides of the game (it's not fully rendered in 3D) looks alright, but as I said, nothing too original awaits. 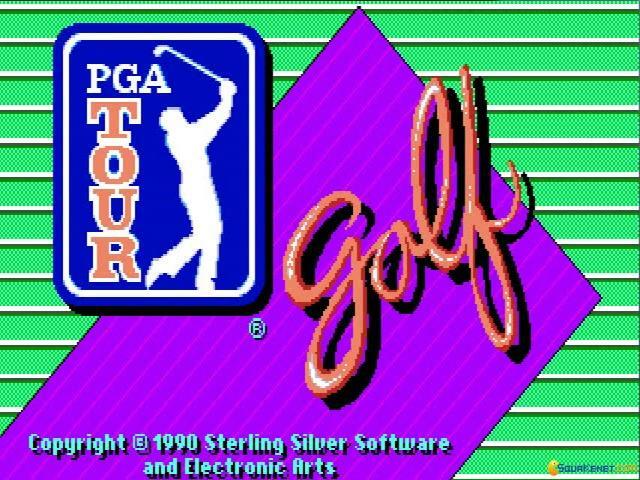 So, give it a try for a rather bland experience, yet a good one. 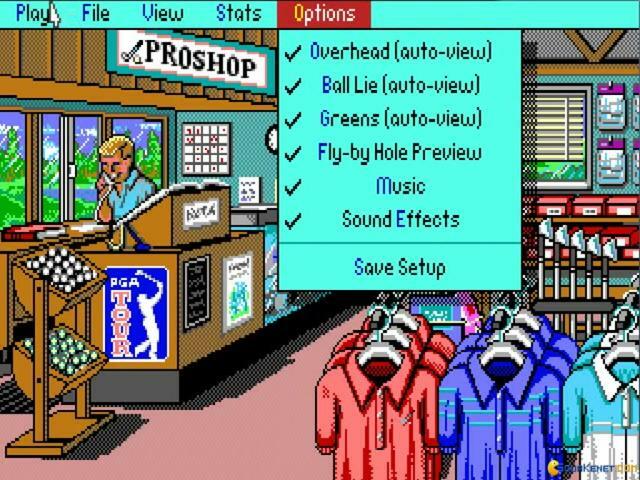 Else, download Sensible Golf, one fo the sweetest golf sims out there. 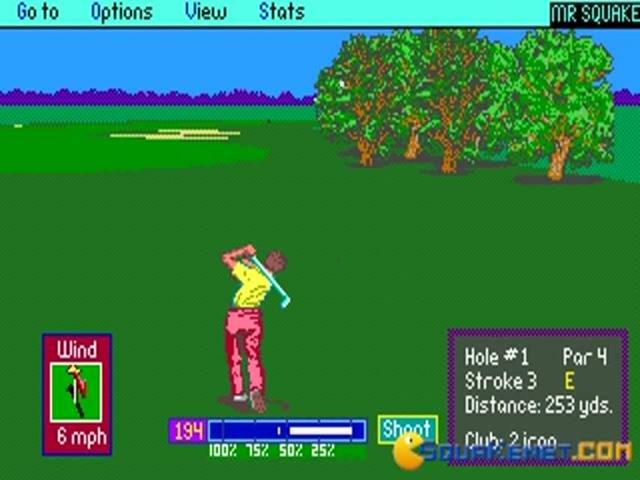 Pga Tour golf is an good old school golf game (much like Jack Nicklaus)from the early nineties. 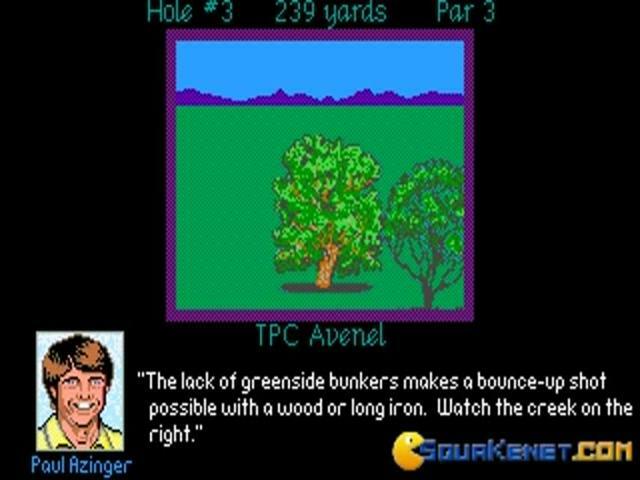 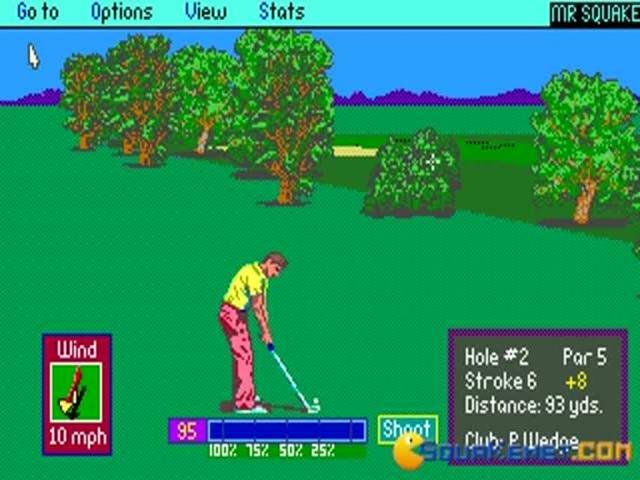 It is the first installment in the PGA golf series that went from 1990 to 1998, when EA began publishing their golf games with the endorsement of Tiger Woods. 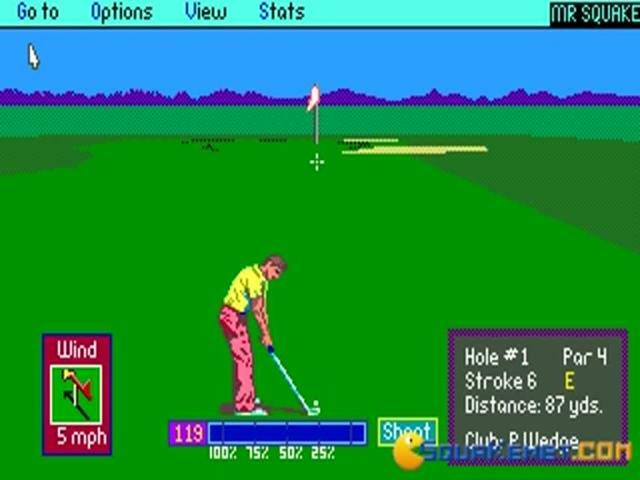 It is understandable why the developers should make a franchise, since the game is really good and authentic. 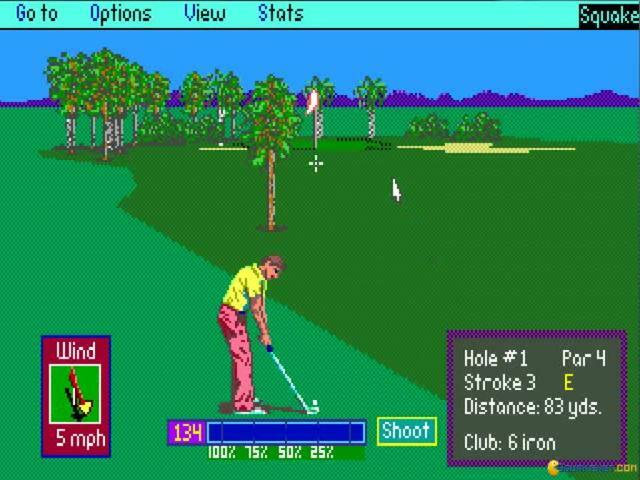 The gameplay is consisted of the character standing with his club in his hands, while the player determines the strength of the swing, which ultimately decides how far the golf ball will go go. 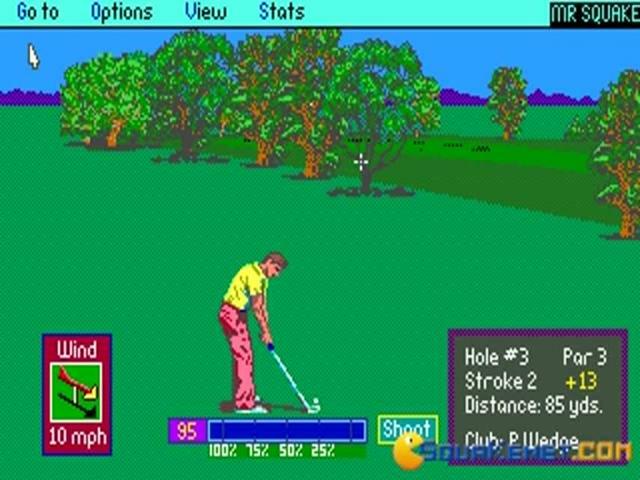 Wind is also considered into account, and can make the ball go a little more to the left or right than necessary and that adds to the games authenticity from real life golfing. 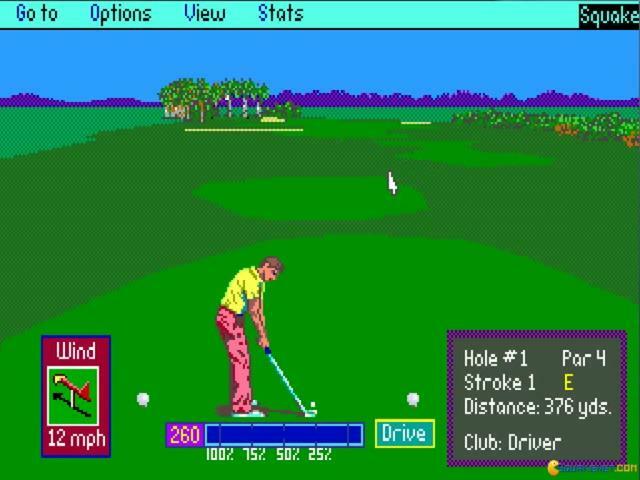 The controls can be a little odd at the beginning but you will get used to it soon. 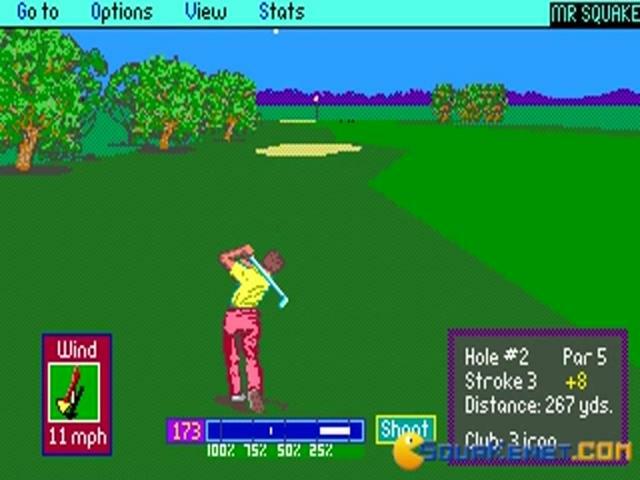 The game has very good visual graphics and the animation is also very good and there is a sporty catchy tune going on in the background. 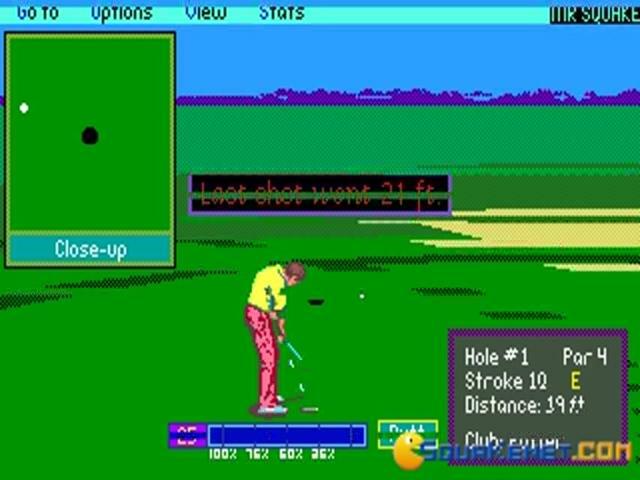 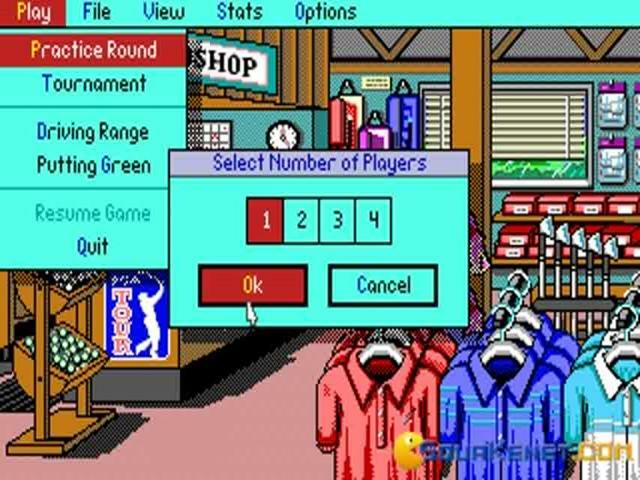 While not as good as today's modern golfing games, this game also gives the player a challenge and fun. 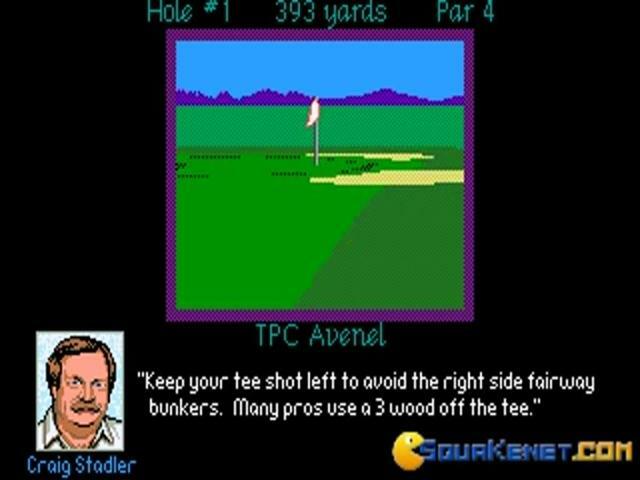 I recommend this game to all golfer across the globe.